Looking to escape to warmer shores, just the two of you? 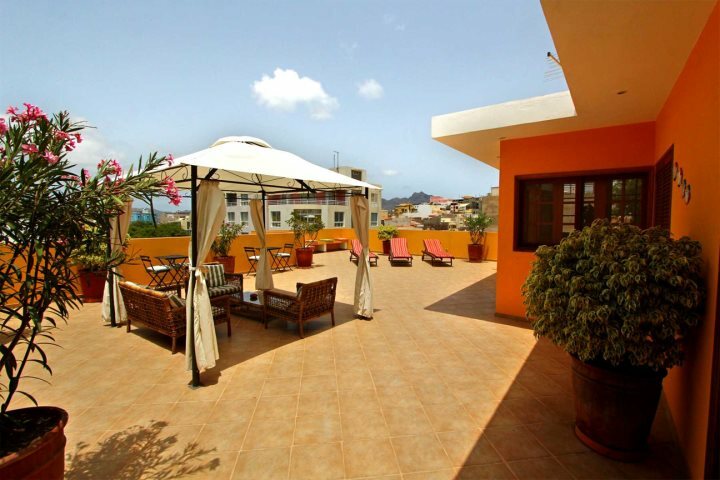 Discover our perfect holidays for couples in Cape Verde. 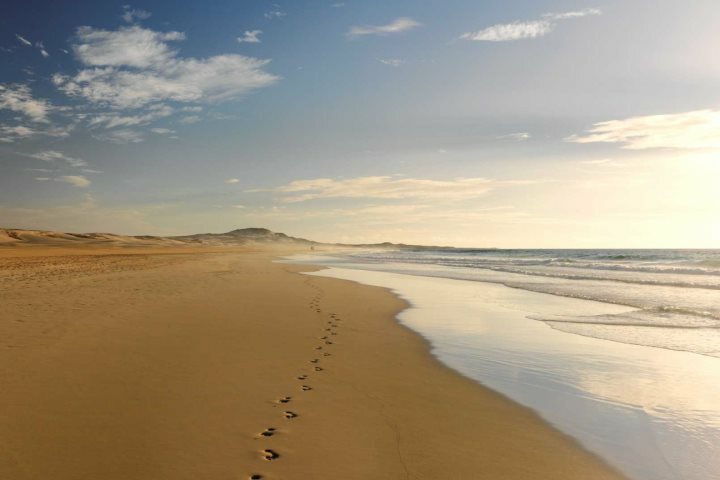 A destination where blue skies meet turquoise waters and rolling sand dunes stretch for miles into the distance; it’s no wonder a romantic sunset stroll is a popular pastime for couples who choose to holiday in Cape Verde. With seven, distinct islands available to choose from through our programme, you can enjoy a romantic holiday along the beach or in the mountains, or maybe you’d rather be surrounded by shops, cafés and restaurants in the heart of cultural town? That’s the beauty of Cape Verde! 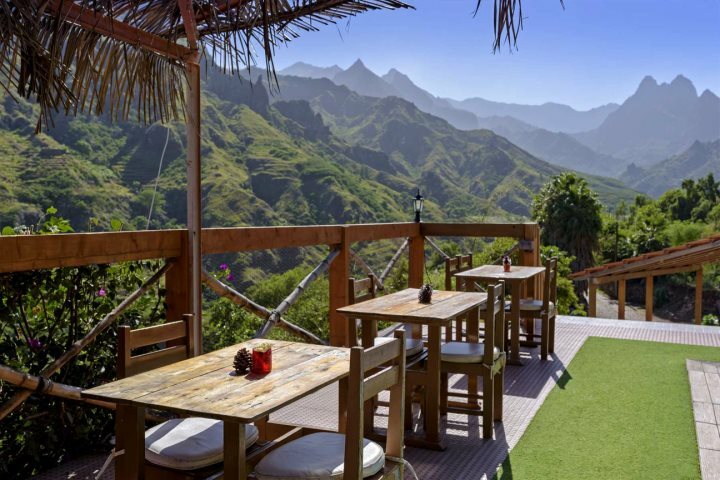 If you’re in search of a package holiday, or maybe even a tailormade escape, let us tell you more about where you can find the best holidays for couples across the Cape Verde islands. 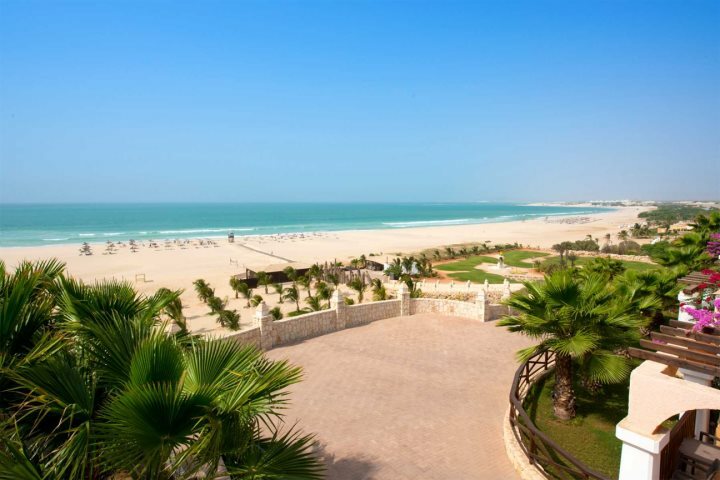 Let’s start with perhaps the most popular choice, a good old beach escape. 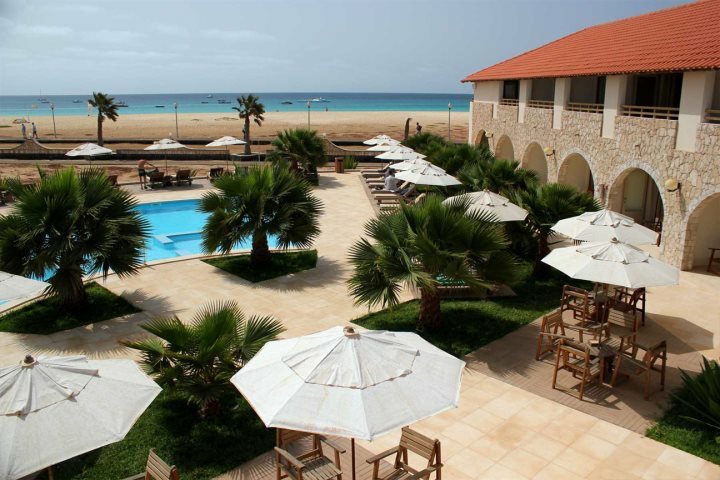 Cape Verde delivers, with Santa Maria Beach on Sal island and Praia de Chaves on Boa Vista coming up on top. Santa Maria offers a long, rounded bay of soft golden sand, which at one end is home to the main town, where there’s plenty of shops, restaurants and bars to peruse during the evenings, and at the other, some fantastic hotels, like the Hilton Cabo Verde Sal Resort, a fantastic choice for couples looking for a luxury getaway. 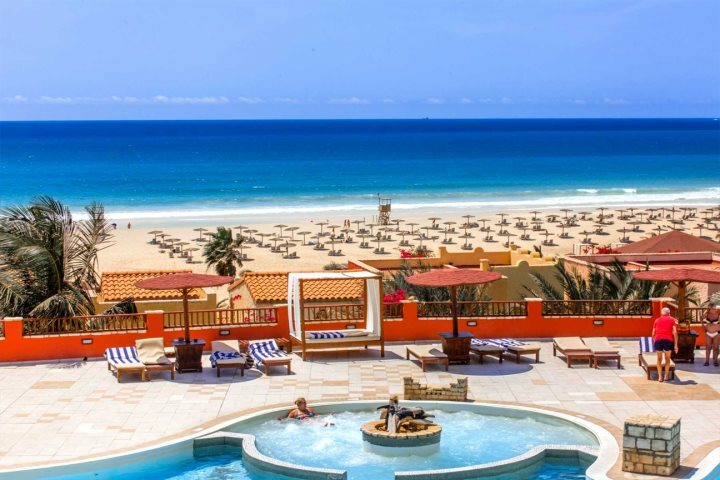 Other hotels we recommend along this beautiful bay are Hotel Morabeza, were you might want to consider upgrading to the adult-only Executive rooms and suites. Odjo d’Agua is another lovely choice, where you can enjoy an evening meal in their restaurant which juts out to sea – the views are incredible. 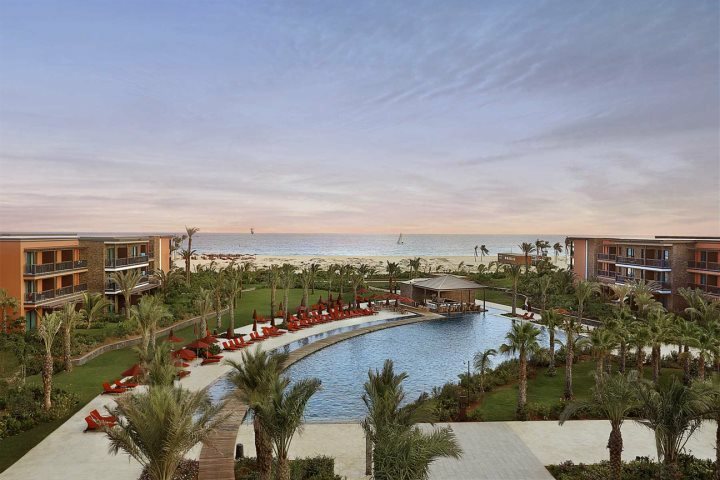 If it’s an all-inclusive beachfront couples holiday you’re after, look no further than the Iberostar Club Boa Vista; located right along Praia de Chaves, you can walk for miles along the sand dunes and soak up the sunshine, find a quiet spot to lay down your beach towel and catch some rays. The same can be said for Royal Horizons, it’s also found along this gorgeous stretch of coastline. Maybe rent a sand bike and go for a ride along the coast, or take up a new water sport, the choice is yours. 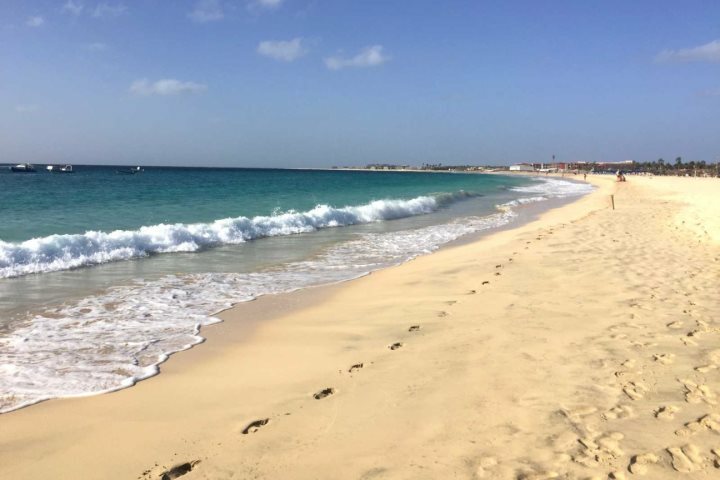 If you like to get away from it all and experience something a little different to a typical beach holiday, Cape Verde is still the ideal destination. 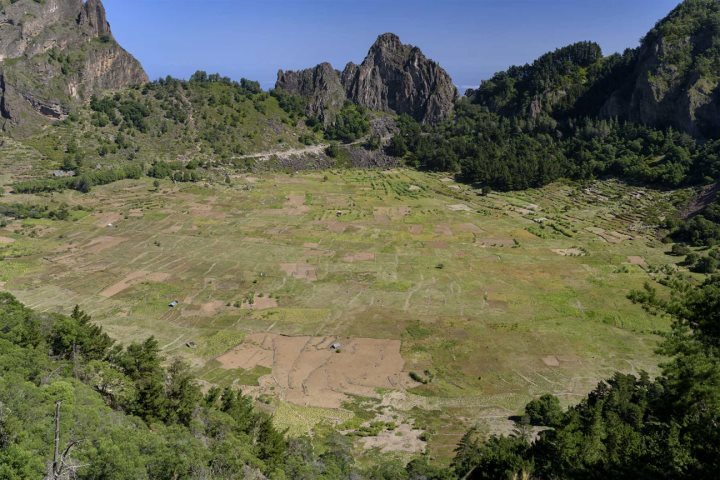 With islands such as Santo Antão, São Nicolau and Santiago offering rugged green peaks, you can pick a hotel which allows you to get stuck right in and soak up the surrounding atmosphere and even do some guided hiking. 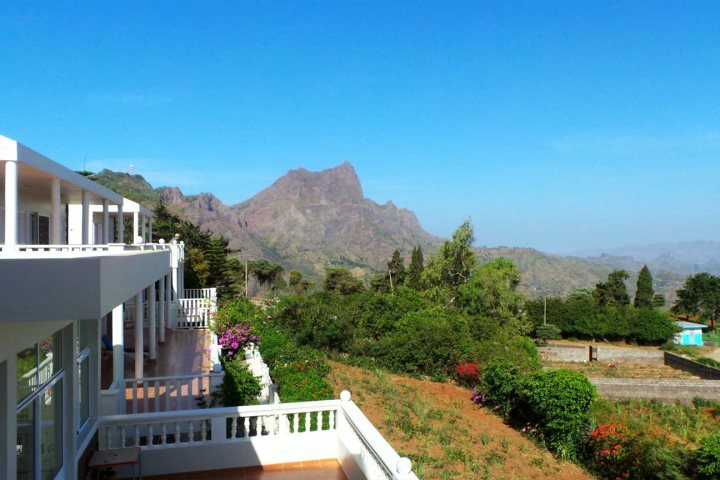 Take Quinta da Montanha, Pensão Bela Sombra and Pedracin Village as prime examples – they may not be the ultimate in luxury, but they can promise you one thing – you’ll get to enjoy the sights and sounds of the surrounding mountain landscape, seeing an entirely new side to Cape Verde. 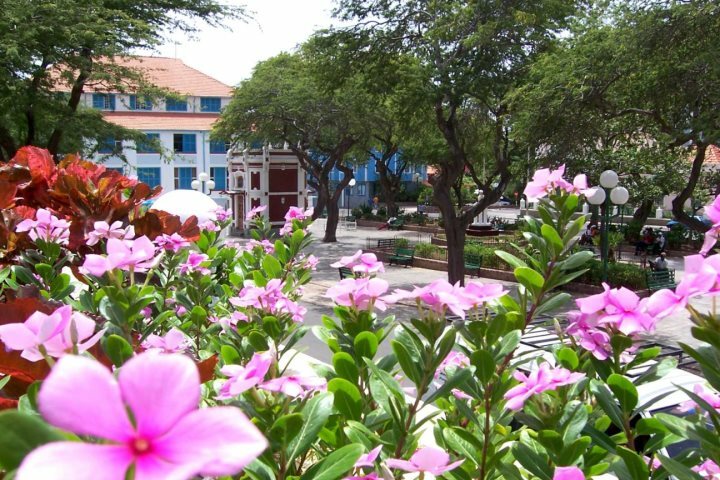 The island of São Vicente is well known across the archipelago as the cultural centre. Talented live musicians grace the bars and restaurants most evenings, and the annual mardi gras Carnival is held in the capital, Mindelo. It’s in Mindelo that you’ll be able to surround yourself with true Cape Verdean culture, enjoy local food such as cachupa, and the national alcoholic beverage, grogue. There’s plenty of opportunity for romantic meals for two in Mindelo. Hotels such as Kira’s Hotel, Don Paco and Oasis Porto Grande will put you right in the centre of this fantastic town, but if you want to be a little further away (just a 10-minute taxi), try Foya Branca Hotel. 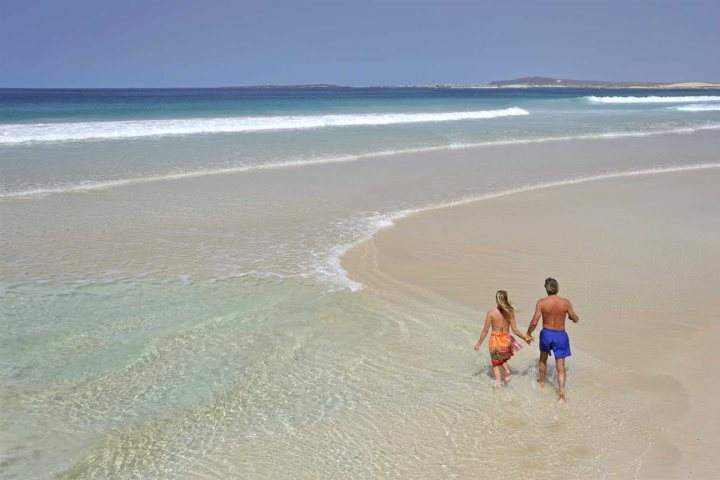 Another thing which makes São Vicente stand out is its glorious stretch of white sand – Laginha Beach. 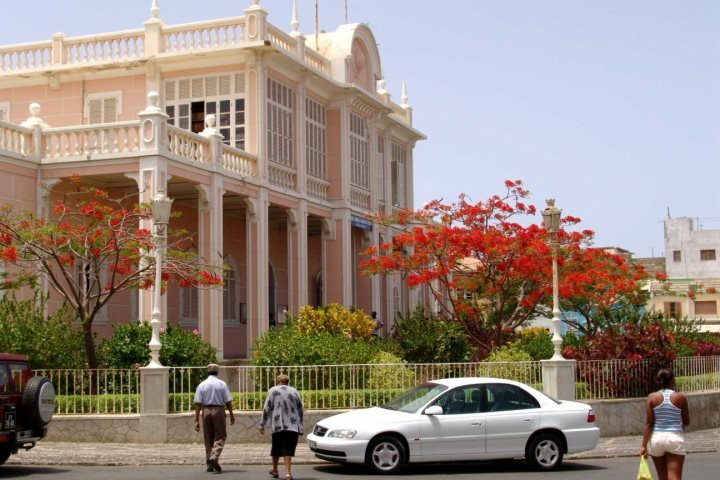 One not to miss if you find yourself on the island and in Mindelo. If you’re feeling inspired to book a couple’s holiday to Cape Verde, visit our holiday ideas, or alternatively have a read of our most romantic hotels blog post to inspire you further.